It’s Meat Week, which means people all over the country are enjoying their favorite barbecue, and we’re going to help you enjoy it too with healthy BBQ recipes. First up is an easy, sweet Pineapple BBQ Chicken Meal Prep to prepare for the week. Lighten up your favorite Super Bowl dish with Veggie Meatballs with Cranberry Barbecue Sauce. 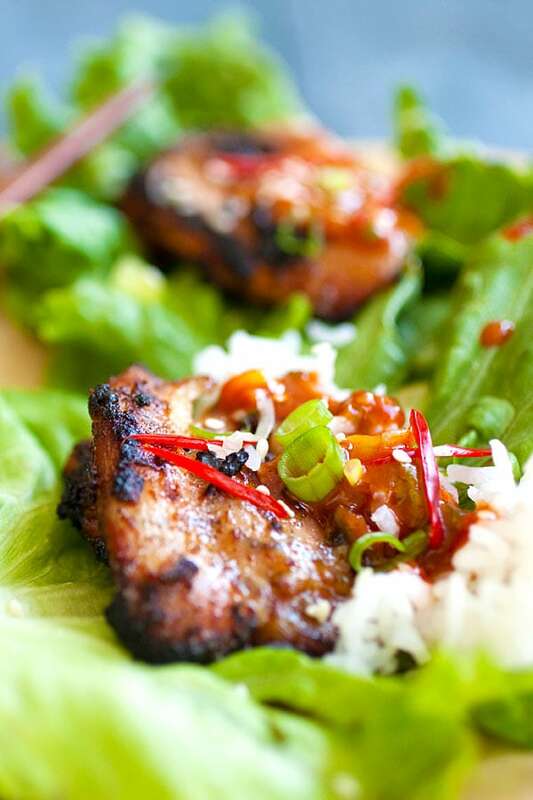 Enjoy light and delicious Korean BBQ Chicken at home. 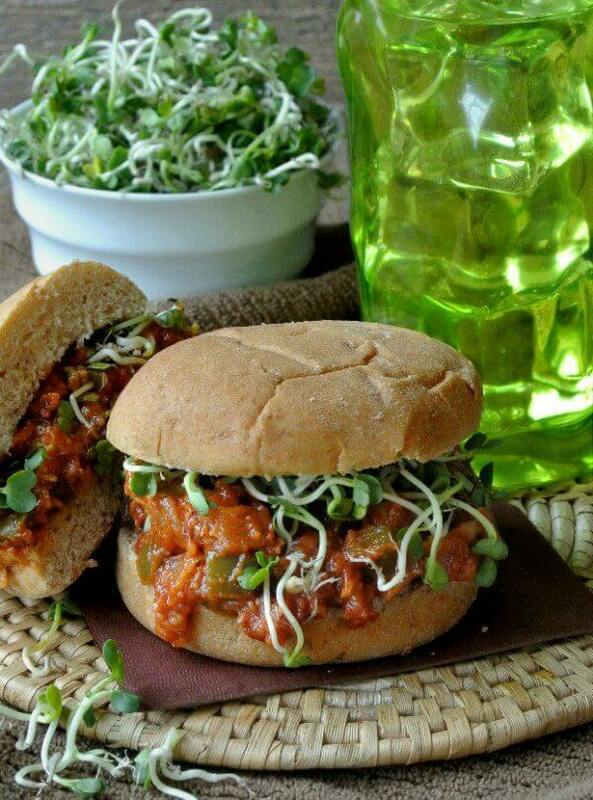 If you love BBQ chicken, lighten it up for a meatless day with Vegan BBQ Chicken Sandwiches. Enjoy your favorite flavors with BBQ Chicken & Roasted Sweet Potato Bowls. 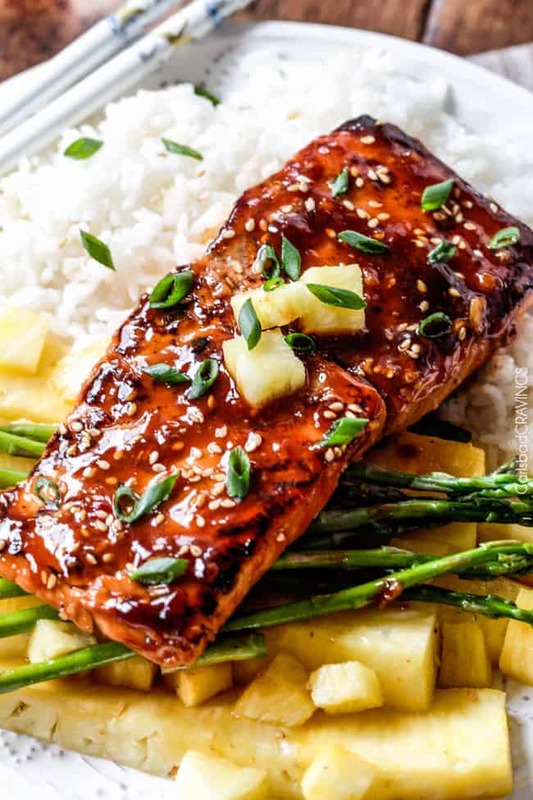 Skip the red meat with this showstopping Asian BBQ Salmon. Lighten up your kids’ favorite pizza with this Sweet Potato Crust Pizza with BBQ Chicken.